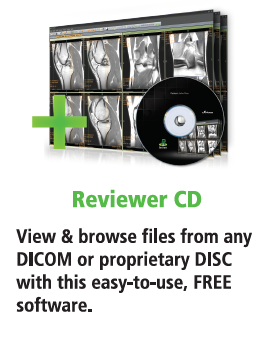 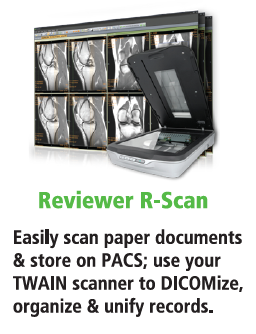 Convert files and paper to DICOM. 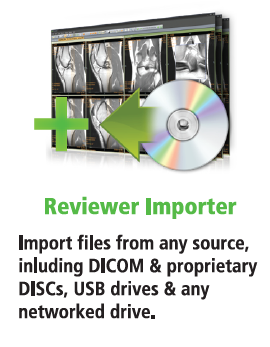 Import CDs from any PACS! 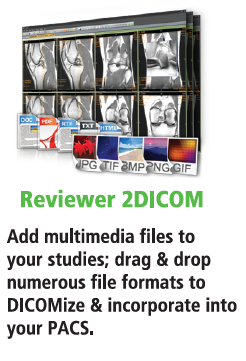 Versatile DICOM Conversion. 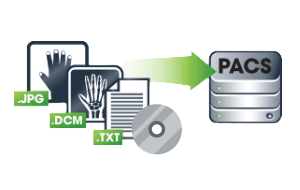 Import CDs from any PACS, create new studies and/or enhance existing studies with multi-media objects by DICOMizing image files, video files, office documents, paper documents, and film via drag-and-drop functionality within Vertex.